Russia and Turkey have drawn closer in recent years, in part due to converging mutual interests in the ongoing Syrian conflict, but their relationship remains essentially a “marriage of convenience”. This was the assessment of speakers at a discussion on Friday at Duke University titled “The Grey Wolf & Bear: Turkish-Russian Relations”. 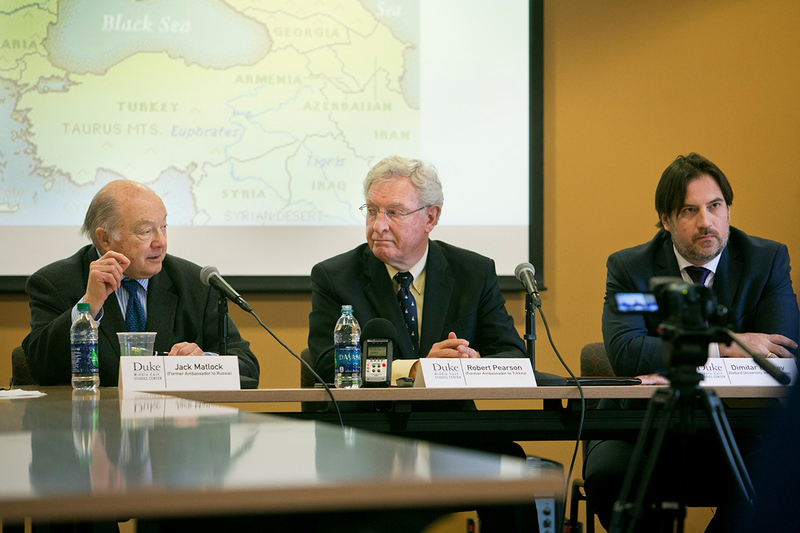 Attending were figures such as Jack Matlock, a former U.S. ambassador to Russia and Robert Pearson, former U.S. ambassador to Turkey. The revival of Turkish-Russian relations was facilitated by clumsy U.S. handling of its relations with the two countries during the Obama era, they suggested. Obama harmed the U.S. - Russia relationship by calling Russia a regional power that “doesn’t make things people want”, said Matlock, fuelling Russian resolve to assert itself in the international arena. The continual demonization of Russia by U.S. politicians and the media was also damaging the relationship, Matlock suggested, noting this hinders the possibility of co-operation between the two countries. “The Russians see our policies as not only wrong but as put downs,” he said. He also said that whilst Iran thrives on turmoil in the Middle East, Russia wants to pull its troops out of Syria. Because of this, the United States, Russia and Turkey have much to gain from co-operating to bring stability to Syria. As a major international actor, Russia has a weaker hand than the United States – a smaller economy, population and military might – but often appears more powerful because “it plays it very well.” That assessment, shared Friday by Dimitar Bechev, director of the European Policy Institute, a think-tank based in Sofia, Bulgaria, was part of a discussion at Duke on Russia-Turkey relations.